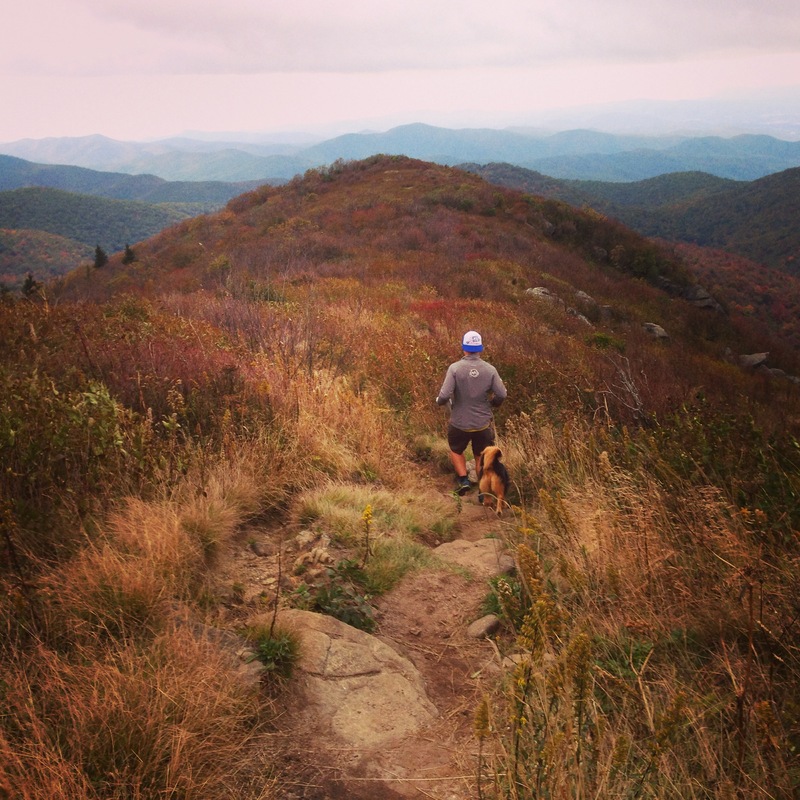 Location: This is an amazing trail with stunning panoramic views of the mountains, Shining Rock Wilderness, and Pisgah National Forest. The section of the Art Loeb Trail beginning at Black Balsam Knob, is beautiful and challenging. There are ups and downs, technical footing, and a lovely variety of sceneries. It is great for hiking or running. We completed a roughly 9 mile loop that included one section of out and back running. The exact route we took is detailed below. Getting There: Black Balsam Knob is about 1 hour 45 minutes away from the Greenville area. If you’re leaving Greenville, take 25 N towards Hendersonville to 26 W. Get off at Exit 37, turn left NC-146 W. Take a right on Clayton road. Continue 1.3 miles. Slight right onto NC-191 N. Continue 1.2 miles. Turn left onto the Blue Ridge Pkwy. Continue 26.8 miles. Then, turn right onto Black Balsam Knob Rd. Continue to the end parking lot or park in one of the designated spots along the road. The Art Loeb trail begins on the right side of Black Balsam Knob Rd. as you’re driving in towards the parking lot. There are parking spaces beside the trail head and it is well-marked. Where to Eat: We love having a fun meal to look forward to after a big run. Farm Burger in Asheville, NC is one of our current favorites and an easy detour on the way back from Black Balsam (roughly an hour from Black Balsam). West First Pizza in Hendersonville, NC is another awesome post-run stop (also roughly an hour). We’ve enjoyed Mayberry’s Soups and Sandwiches in Brevard on several occasions too (around 45 mins away). What an enchanting run this is. David and I have run and hiked parts of this loop on multiple occasions, but until this day, we had never delved very far into the Shining Rock Wilderness. We needed a longer run since we were training for a trail half marathon and we always like having a goal destination to run to, so we decided to try to find Shining Rock. 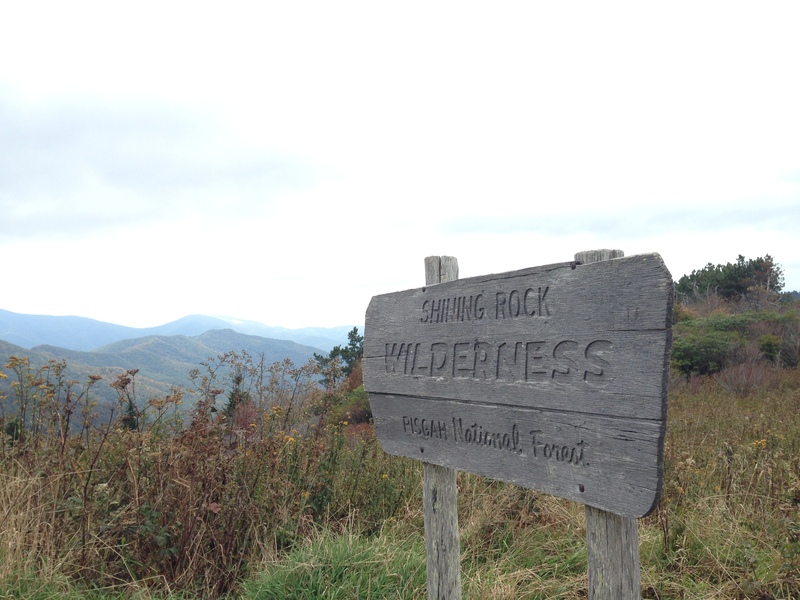 Until planning this run, I didn’t know that there was in fact a “shining rock” which gave the wilderness area its name. As it turns out, there is snow white quartz at the top of a mountain in the wilderness area which is rather eye catching amidst the other more common rock features in the area. View from the top of Shining Rock including some of the unusual snow quartz. 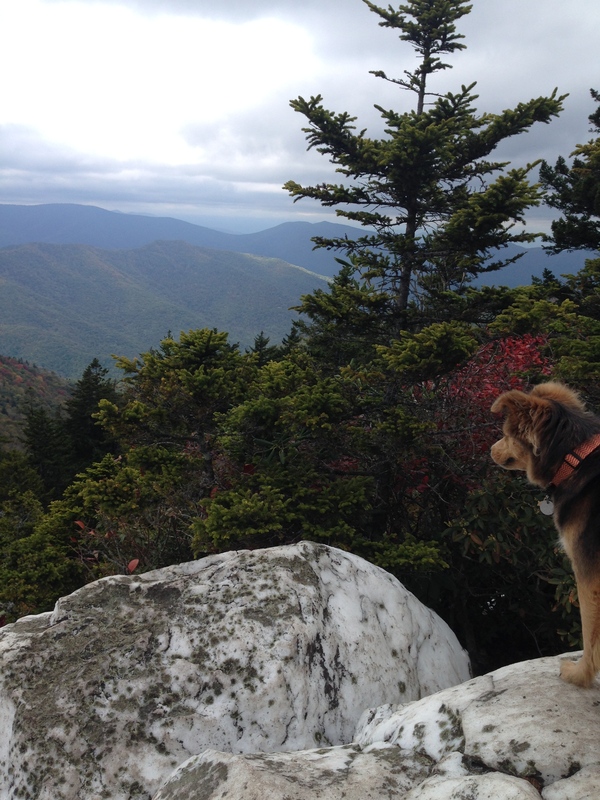 We parked at the trail head for the Art Loeb Trail which is found on Black Balsam Knob road. 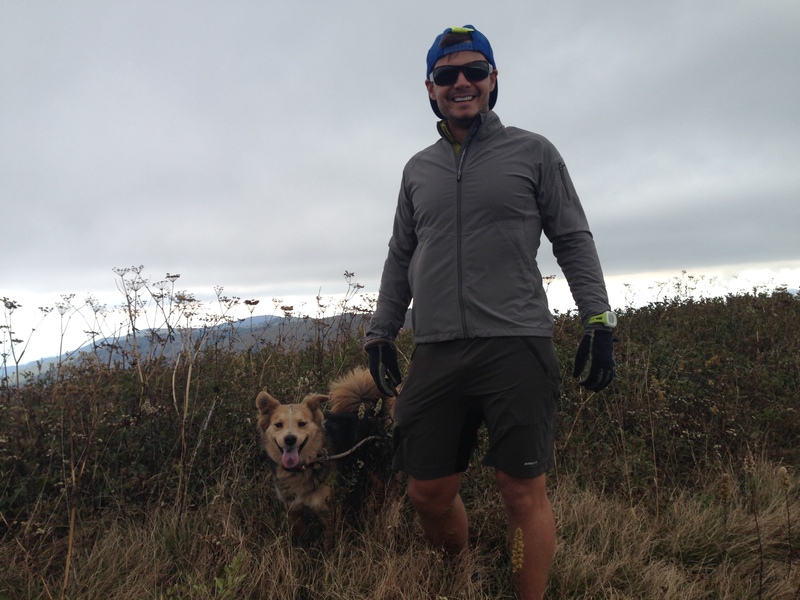 Our run took us up and over Black Balsam Knob and Tennent Mountain, through a large gap-like clearing area with signage pointing towards Ivestor Gap and then through Ivestor Gap itself where we were welcomed to the Shining Rock Wilderness. Here we decided to stay to the right on the Art Loeb trail instead of taking the left fork onto Ivestor Gap trail. We tried to stay on the Art Loeb for our entire outward journey just to keep it simple and avoid getting lost. This led us around and over another mountain which I believe was Flower Knob. It was kind of hard to tell because once you’re in the wilderness area nothing is signed. We got to a smallish grassy clearing eventually where there was a piece of orange/pink tape dangling. This seemed to mark the spot where Ivestor Gap trail emerged from our left, but we weren’t positive about that either. We kept going along a bit of a ridge line until we started climbing once more. We had begun to wonder if we were still headed the right direction when we hit over 4 miles with no sign of the white quartz that would mark Shining Rock, but at last it started to appear scattered along the path. We hit the top around 4.5 miles which was what we had hoped would be the case based on our research of this route. After some pictures, we turned back retracing our steps exactly until we came to the clearing at the base of Tennent Mountain. Instead of ascending on the trail to the left, we took the lower trail to the right which circumvents Tennent and Black Balsam returning you to the parking lot at the end of Black Balsam Knob road. This path is pretty wide and flat, however there are a ton of loose rocks, and if it’s rained lately the whole thing can be somewhat flooded. This does not make it impassable, but it can slow you down if you don’t want wet feet. The only bummer about looping back like this is that you have nearly half a mile on the road once you reach the parking lot if you parked at the Art Loeb Trail head. We always dislike ending on pavement after longer runs. It just hurts, but finishing the loop is satisfying and at least the footing was super easy! If you need a great day hike, trail run, picnic or backpacking spot, this one is hard to beat. You could go out for a much shorter distance and still enjoy stunning views and wild beauty. Keep looking for adventure far and nigh! She is a mix from the humane society. 🙂 We think she’s part Australian shepherd or collie? Well she’s beautiful! Is this trail bike friendly? Sorry for the delayed response, Kyle. I have never seen bikes on the trail but I can’t remember if it is forbidden or just uncommon.